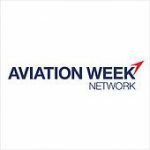 ​Business aviation departures in Europe totaled 77,197 in October, up 5% from a year ago and 12% from October 2016, according to WingX Advance. But departures remain down from their 2007 peak. Business jet activity totaled 60% of the flights. The top six European markets grew during the month, with flights up the most in Germany.